On one night as people are in bed. and us going to the camp we said to each other. Let go into a scary house, ( and I said let’s go to the candle maker shop.I heard….there is thing that goes around). Two minutes later. We are here I said . (We took out are flashlights). I opened the door .We saw a mist of something. I was like what ever to the guys,. And we hear a ,glass break: . And we saw my friend body was like a mist. And we looked and I saw . The black thing it was coming and the door was locked .And we were goners. Great Story, It was really interesting. How did you think of the idea? 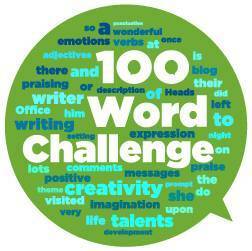 Check out our 100 Word Challenge! Thank you for your 100WC entry this week. You have some interesting ideas here and have used some different types of sentences, including direct speech. To make it even better, remember to use inverted commas around what is being said so that we can understand it more. “We are here,” I said. Keep working hard with your writing.